Are you craving the taste of sweet food? Do you continue to eat even after you’re full? If you can’t stop eating food with added sugar, you need to cut down, or eliminate it. Sugar is difficult to avoid. It’s added to most packaged, restaurant and fast food. Get rid of the food that makes you crave. Have a mango, instead of ice cream. Replace ketchup with a slice of tomato. Mangoes are a tropical fruit that provide a healthy source of natural sugar. They are low in calories, contain vitamin A, vitamin C, antioxidants, and flavonoids. Replace sugary food with fruits, and veggies. Eating more produce adds fiber to your diet, improving digestion, and elimination. As long as you drink plenty of water, you won’t need laxatives, when your diet is high in fiber. Fresh fruit and vegetables make you feel full because of their fiber content. Known as roughage or bulk, fiber isn’t digested or absorbed. Read food labels for added sugar. When you eat food with added sugar, you’re ingesting calories from the sugar, plus the calories from the food itself. If you buy packaged food, read the label to find out if it contains added sugar. A few examples are canned fruit, tomato sauce, frozen food, and condiments such as ketchup. Some sugars have more calories than others, some have trace minerals, some are lower glycemic. 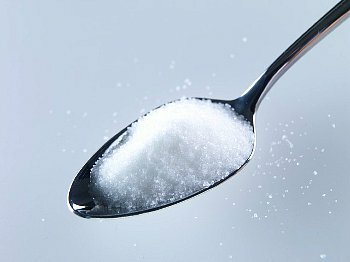 Xylitol has fewer calories per teaspoon than sucrose, but its sweet flavor, may cause overeating. Health benefits in honey, or maple syrup are of little value, if you experience cravings for more of the sweet stuff. 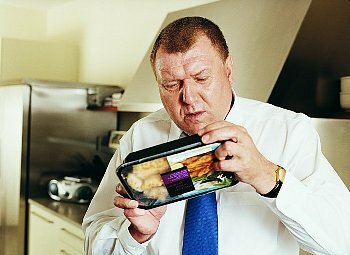 Overeating leads to overweight, and obesity. Posted on June 30, 2013, in Food, Overweight and Obesity and tagged Added calories, fiber, Overeating, Overweight and Obesity, Sugar cravings. Bookmark the permalink. Leave a comment.